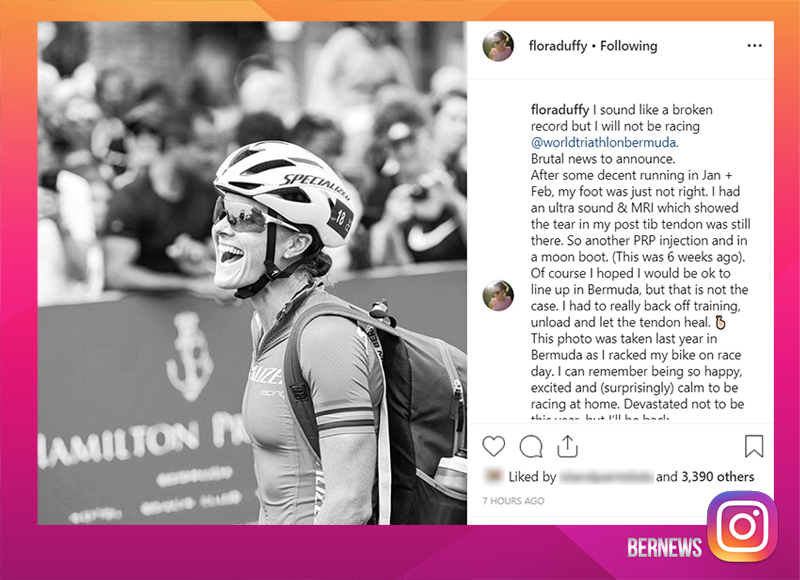 Making the announcement on Instagram, Duffy stated, “I sound like a broken record but I will not be racing @worldtriathlonbermuda. Brutal news to announce. “After some decent running in Jan + Feb, my foot was just not right. I had an ultrasound and MRI which showed the tear in my post tib tendon was still there. So another PRP injection and in a moon boot. [This was 6 weeks ago]. In a longer letter posted on Twitter, Flora Duffy said, “I need to inform my sponsors, my family and friends, that I am not yet at full health and will need to take the bitter decision to withdraw from the WTS Bermuda, and all races thereafter until I am fully recovered. “Earlier this week, we confirmed that a small tear in my post tib tendon remains present. This is basically in the bridge of my left foot. I have known it is not 100% since returning to training in October last year but hoped that it would continue healing while I built back to full load through my summer in Stellenbosch. I was able to get through some 60km run weeks, with some quality sessions. Even a 20km long run or two. However always with some amount of feedback from my foot. “This has been, and continues to be, the hardest chapter of my sporting career. I am more motivated than I’ve ever been, more informed and able in every regard than I’ve ever been, in really great swim form and likely in the best riding form of my career, and yet, I cannot toe the line of a race. “There are many similar tendon injuries that have healed fully if given complete rest for 12 weeks. I was told this back in May, immediately after WTS Yokohama which was the final breaking point. However, I did have conflicting advice that suggested no running and completely rest is not necessary. Regrettably I took the wrong advice and continued to do everything I could to stay fit in hopes of racing late season. I believe this delayed my recovery. I did not have the confidence to stop training and simply rest. I now have no remaining options but to wait it out for as long as is needed. “The line in the sand was ten days out from the season opening WTS in Abu Dhabi. Doing some high-end speed sessions accentuated the reality of the tendon not being fully ready. I did another MRI and an ultrasound on the 26th of February. The tear is too small to identify on the MRI but clearly visible under ultrasound. “We decided on no running for 3 weeks — hoping that somehow the recovery would be sufficient – before starting the final build towards WTS Bermuda. This week’s ultrasound confirmed however that there is positive inflammation, a clear sign of healing activity, but that re-introducing running would very likely set me back to square one. I needs another 3 weeks, if not 6. “I am still dreaming of fulfilling a lifelong goal in Tokyo next year, and need to get to full health as soon as possible, for as much runway towards the Olympics as possible, Risking another three months now, given the past nine, feels suffocating. 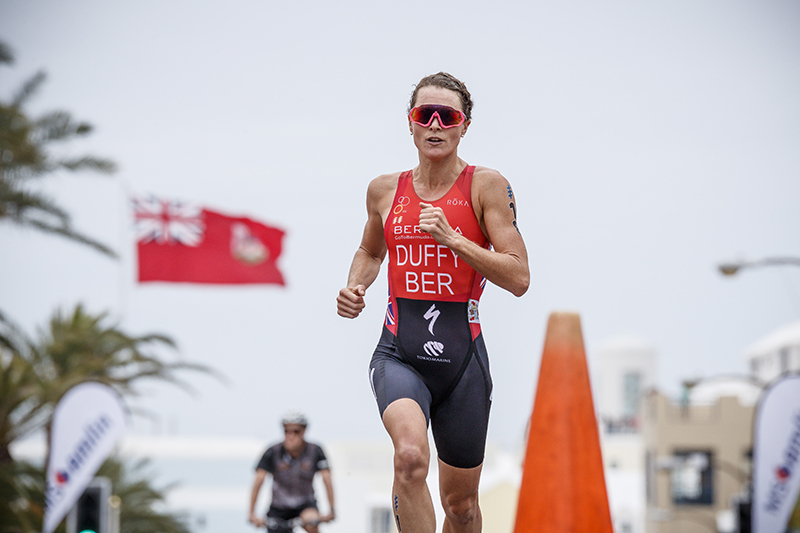 “I’m beyond disappointed to be missing out on WTS Bermuda, where my community have rallied around the event. However, I plan to be back in 2020 and finish my ITU career at the Grand Final in Bermuda in 2021. There is a lot left to do, but for now, I need to be patient, I need to surrender more than I have these past 9 months, and let my body heal fully. “We’re right with Flora as she works her way back to full fitness and winning races again. We know that Bermuda will support her with every swim, bike and run as she trains towards next year’s Tokyo Olympics”, she said. ”Meanwhile Flora still wants to be involved in the event as much as possible. Her injury is only preventing her from competitive running at this time, so she now intends to form a relay team to compete in the Age Group race on Saturday morning. Hometown crowds will be able to see the former World and Commonwealth Champion compete in the bike leg through the streets of Hamilton. such a shame for her and a loss for Bermuda. Hope she gets better very soon and gets back to her normal winning ways! Go Flora Go !!!!! Very tough news for Ms. Duffy and Bermuda. Her health and recovery must come first so she can race again and continue to do our small nation proud. In two weeks we have another opportunity for Bermuda to host our own athletes and elite athletes from all over the world. Wishing you a complete recovery Ms. Duffy and thank you for your inspirational courage – even when it is to make a brutal call like sitting one out. So why is she getting a sponsor check from BTA when she can’t even compete. Give it to another sports player that can represent Bda…injuries comes with any sport.